Gardner Douglas have for 2012 introduced the T70 moda, featuring a modular all-weather roof system for their iconic GD T70. If the T70 wasn't beautiful enough, it just got practical too. Here is what GD have to say about their new model. "The GD T70-moda roof was designed using the latest Computer Aided Design (CAD) software. Our in-house design team worked diligently to sculpt the curves and perfect the design details. 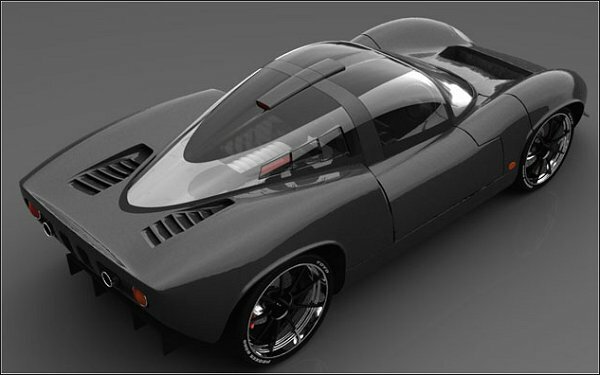 The final design was realised thanks to a state-of-the-art 5-axis milling machine and high-density modelling foam. From here the project moved to our GRP department for the structural work, whilst the glazed areas were out-sourced, calling on industry leaders to ensure the quality of the finished product." "We chose acrylic for it�s clarity of light transmission and scratch resistance." 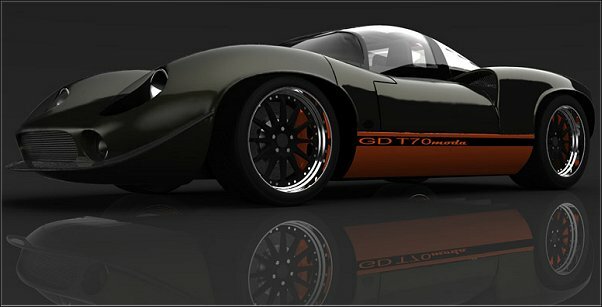 GD T70 Moda, function and beauty. "The system is comprised of a rear canopy with integrated high-level brake light, rear bulkhead partition, roll-bar support, gullwing doors and T-bar connecting piece." "This uniquely engineered solution allows the owner to use all or any of these components in which ever configuration they choose. The car can be used with the full system in place providing all-weather protection and coupe proportions. Removal of the gullwing doors brings the elements closer, along with the sensual excitement of wind in your hair and that V8 soundtrack. Complete removal of the roof is quick and easy and leaves very little trace behind should you wish to give your car the classic open-racer appearance." "The gullwing doors feature access-assistance and can be locked for security. As an added comfort measure the upper most areas of the doors and rear canopy are tinted providing vital shade and a sleeker profile." "A functional roof mounted air intake serves to funnel much needed air to the heart of the beast whilst adding an additional aesthetic touch which further boosts the GD T70-moda�s desirability." Gardner Douglas will be exhibiting the T70-moda along with other GD models from the range at selected shows and events throughout the year. They welcome any visitors who would like to have a closer look at this new exciting model. For more information on the GD T70-moda please contact Gardner Douglas by visiting their website.